Macassar ebony & redwood with maple, koa, Evo gold & KTM-9. Cherry back,sides and neck. Redwood top. 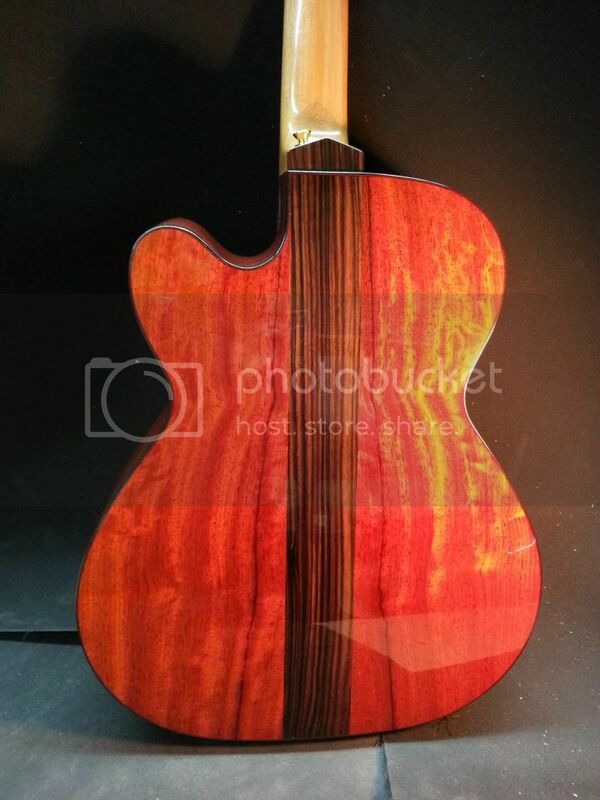 Slightly figured padouk back and sides with Macassar ebony center strip and fingerboard (same plank) Sitka Spruce top, Mahogany neck, Venetian cut-away. Wow... Some real beauties. 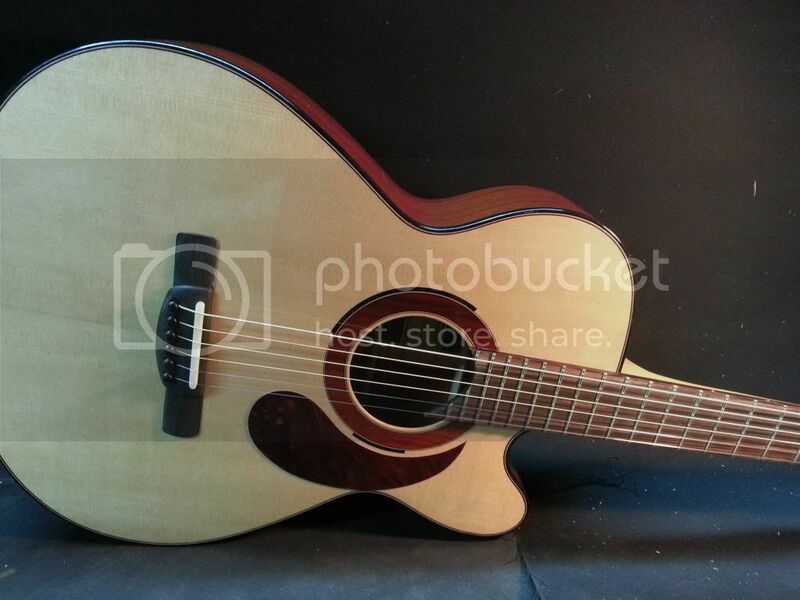 Joel, I really love the contemporary elegance of your rosette and pick guard. Last edited by RonV on Wed Apr 30, 2014 1:04 am, edited 1 time in total.